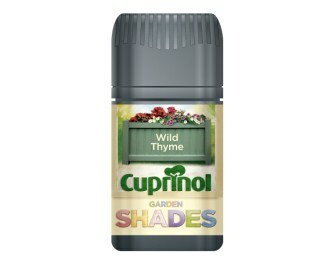 AkzoNobel is extending its range of packaging containing post-consumer recycled (PCR) plastics with the introduction of custom molded tester pots for its Cuprinol Garden Shades range manufactured by RPC Containers UKSC and RPC Containers Market Rasen. The container is blow molded in 100% recycled high density polyethylene (HDPE), a first for RPC UKSC, while the cap and applicator brush stem are injection molded by RPC Market Rasen using 50% recycled PP. The intention is to increase the amount of recycled material in the cap as the manufacturing process is further refined, according to its announcement. The launch of the PCR tester pots follows the introduction in 2011 of injection molded PP paints cans containing 25% PCR from RPC Oakham for Akzo’s Dulux Colours ranges. Like the paint cans, the tester pots are produced in charcoal grey color which provides an effective contrast to the wood treatments they contain and helps to create on-shelf differentiation.